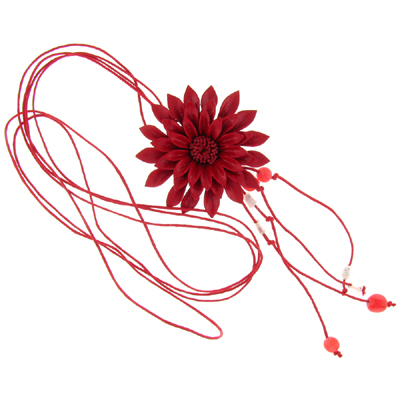 Wonderfully crafted red leather pendant necklace featuring stunning daisy flower on double black strand with dangling red and clear glass stones. Size: 6.5 x 80 cms. Beautiful addition to your attire everywhere you go. Also check our store for matching accessories.